MIX in a food processor and PRESS into a pan! Thats it! 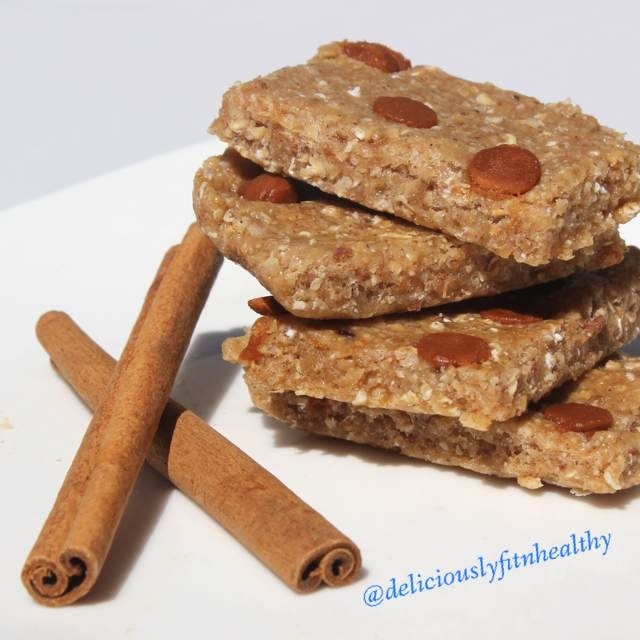 Packed with protein soft, chewy and sweet! Combine protein powder, almond flour, vanilla, salt, peanut butter, and stevia. Add in 1 tbs of water and 1 and 1 tbs maple syrup at a time and mix. Continue to add and mix until the alotted amount is used. This is to ensure it mixes well because the dough can become very dense in the end. Let them set for at least an hour. You don't have to do this I just feel like the flavors mesh better and the bars form better for cutting if I wait but it is not a must. I normally make mine and leave them over night and cut them in the morning.Cut with sharp knife . Store on Baggie or Tupperware.